It is impossible to grasp fundamental concepts of genetic variation without understanding the relationship between sequence, structure, and function. 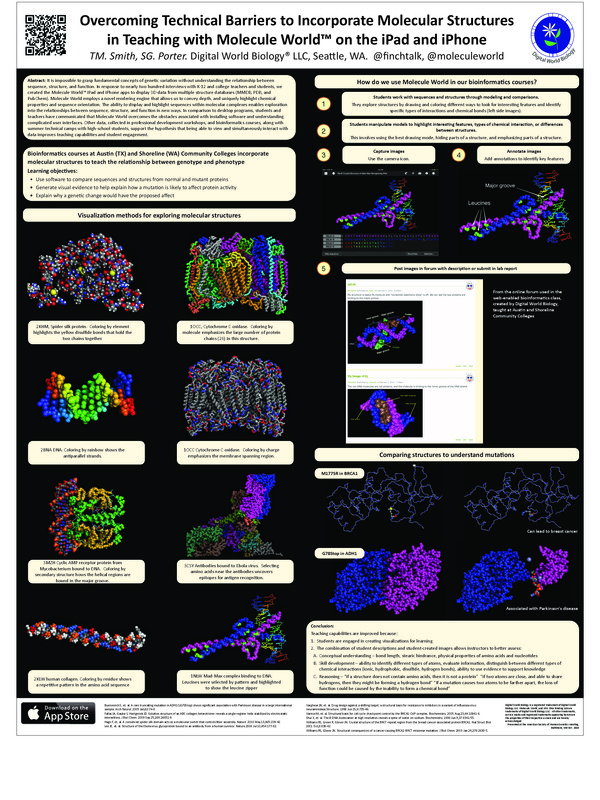 In response to nearly two hundred interviews with KI12 and college teachers and students, we created the Molecule WorldTM iPad and iPhone apps to display 3D-data from multiple structure databases (MMDB, PDB, and PubChem). Molecule World employs a novel rendering engine that allows us to convey depth, and uniquely highlight chemical properties and sequence orientation. 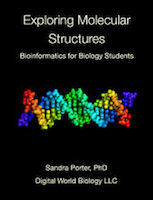 The ability to display and highlight sequences within molecular complexes enables exploration into the relationships between sequence, structure, and function in new ways. In comparison to desktop programs, students and teachers have communicated that Molecule World overcomes the obstacles associated with installing software and understanding complicated user interfaces. Other data, collected in professional development workshops, and bioinformatics courses, along with summer technical camps with high-school students, support the hypothesis that being able to view and simultaneously interact with data improves teaching capabilities and student engagement.